Engage just one, single encoder for tactile sound manipulation with dynamic FX and elegant filter control. 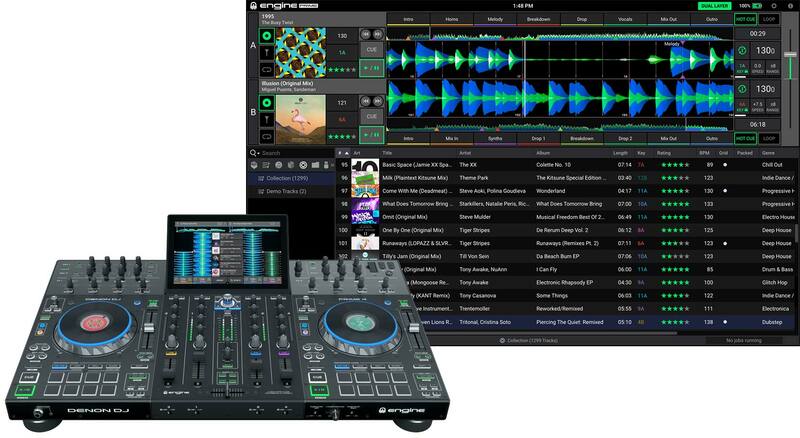 Select tracks, view waveforms, interact with your digital music collection and view essential DJ parameters, with beautifully smooth, multi-gesture control – it’s the touchscreen experience you expect and deserve. Send a dedicated, back-to back, music playlist to a separate location while you rock the dancefloor in the main room – control the mood, volume and EQ to precisely tailor the sound for your audience. Access massive music libraries from 4 x USB inputs, 1 x SD and an under-panel, 2.5” built-in SATA drive bay. Use any one of these media sources to record your full DJ set performance, in its full glory! Drive two independent microphones for dual-performer, audience engagement both with dedicated EQ, volume and effect controls. 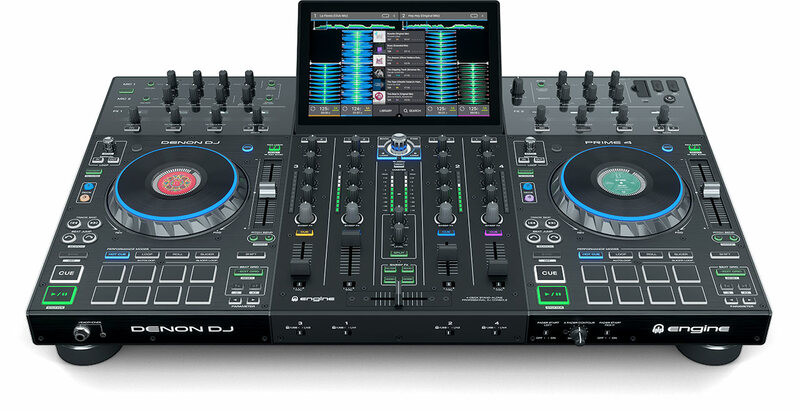 Multicore processor driven, all-in-one, fully standalone 4-deck DJ system with no need for a laptop computer - Pure, unfettered performance and playback capability! Rugged, metal-chassis, built to endure the rigors of Pro-Mobile DJ life. Articulate, visualize and craft your own unique sound, choosing from 13 diversely textured DJ FX, sourced directly from the festival/club stage X1800 Prime mixer. Your DJ Platter Control – Lit! HD central screen to get performance, heads-up display info combined with a DJ brand logo or playing track artwork. Change up your look with customizable RGB light ring. Connect to Soundswitch, Resolume and Timecode software and upgrade your visual show elements: easy to program = maximum impact. 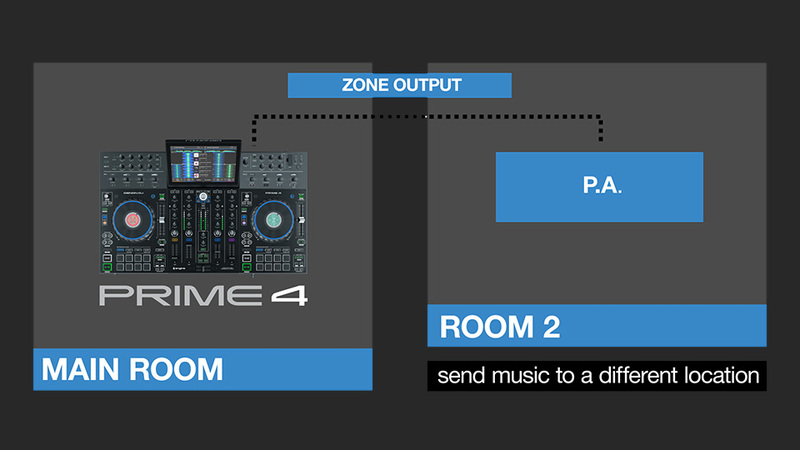 Using Prime 4’s StagelinQ connection, Mobile, Event and Club DJs now can easily creating impactful, visually dynamic lighting and video scenes via Denon DJ’s partnerships with Soundswitch, Timecode and Resolume.